ExtendWeather has been inspired and guided by the vision of Global Framework for Climate Services (GFCS), WMO, and the committed scientists at CLIMsystems Ltd. Collectively we strive to provide a complete weather and climate service for specific client groups that require state-of-the-art scientific approaches and the understanding and in-house access to comprehensive climatological, seasonal and historical data from an array of reputable international sources. ExtendWeather is able to provide both off and online cover historical climate data analysis, seasonal and sub-seasonal forecasting, and longer term climate scenario development; and developed a public website for general seasonal climate forecast products and a subscription service for digital provision of forecast data along with customized services and solutions to wide range of clients. 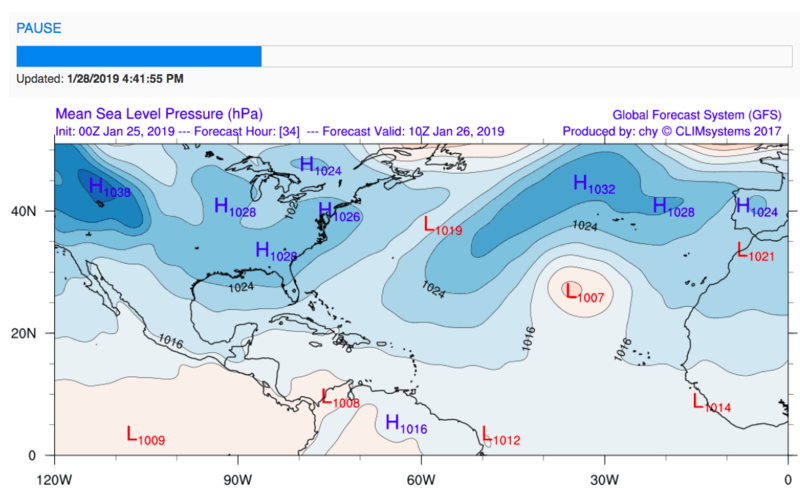 Seasonal/Sub-seasonal Forecasts – Our monthly forecasts and 10 day (or weekly) advisories keep you abreast of the latest model guidance and potential changes to the forecast. ExtendWeather forecasting products are at the intersection of science, technology and commerce that deliver relevant, insightful guidance to clients. Clients can also be supported with exclusive, one-on-one conversations with experienced trans-disciplinary scientists in the ExtendWeather forecasting group who have access to up-to-date data, promote unique insights and discussion about ‘what lies behind the numbers’. ExtendWeather provides detailed one to nine month customized forecast indicators beside traditional temperature and precipitation forecasts. We include wind and solar radiation and derived products such as drought and wet period onsets, extreme forecast index (EFI), and potential evapotranspiration index (PED). ExtendWeather develops applies different approaches and models, considers ENSO, sea level pressure anomalies and temperature trends and applies a scientifically robust downscaling technique. This distinct model approach enables us to provide a high quality seasonal and sub-seasonal forecasting product. Agriculture Sector: We have tailored our subscription plans to user need. These plans range from the most simple and cost effective outputs for subscribers that are in fast paced operations that require quick access to the key variables of precipitation and temperature for a three month period that is updated every ten days. Most farm operators can use this information to plan cultivation activities, infer potential grass growth and also better time effluent storage and spreading. Most critically this basic data gives early warning of dry spells and even drought. On the flip side the forecast also signals when rain is expected again. This can be invaluable information when planning for overcoming the stress of low rainfall periods. Energy Sector: The energy sector relies on not only rainfall information but also wind forecasts. A data package that covers these critical aspects has been designed to service this specific need and is already being applied by energy traders. Viticulture: Viticulturists and the forestry industry can also apply this sort of information for planning their activities in their vineyards and forests from pruning time to harvest risk. Local Government and Water Supply and Demand: Local Governments also can apply forecasting information on rain and temperature and potential evaportranspiration deficits to their water management planning be it for the demand side of for gaining early warning of potential dry spells and droughts to prepare their communication materials for their clients. Customised Applications and Data Provision: Some users may require raw data that is generated every ten days. The ExtendWeather team has data experts who are prepared to consult with such users to define their raw data needs so that data can be supplied in the correct format for rapid and easy use. Some users also require statistical probability analysis of forecast data and extend their forecasts up to nine month. The ExtendWeather team can provide data packages that meet this need.